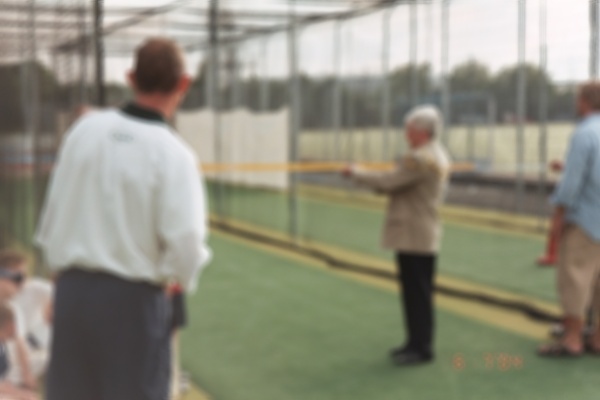 with both top class Indoor and Outdoor net and playing facilities. constant whatever the weather conditions, while two change with the conditions, giving players experience of almost any pitch they might play on. 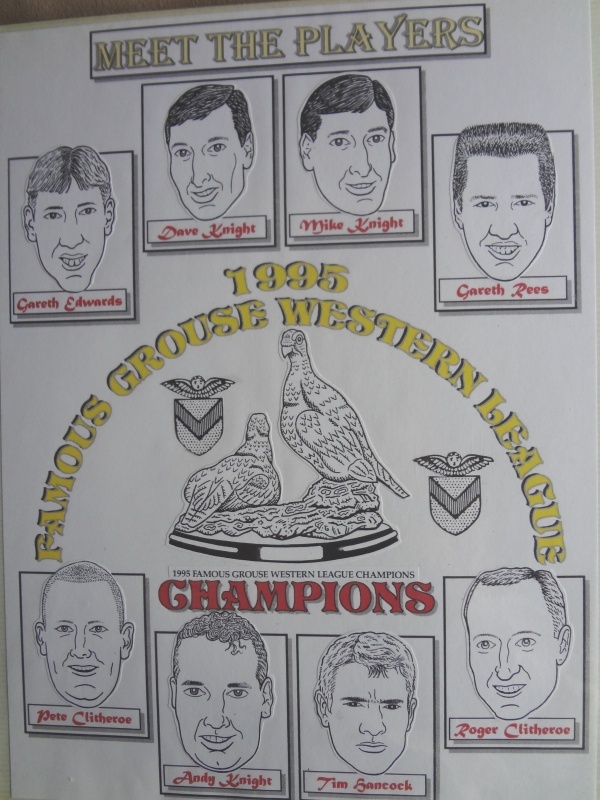 'Accreditation Certificate' by Huw Davies (CBW Chaiman). the new 'Coaching Bay' to mark Newport's Accreditation Award. 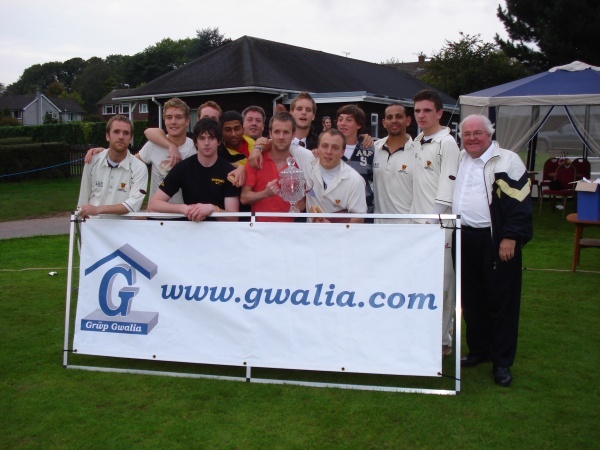 ‘Gwalia’ Welsh Cup success of 2008. 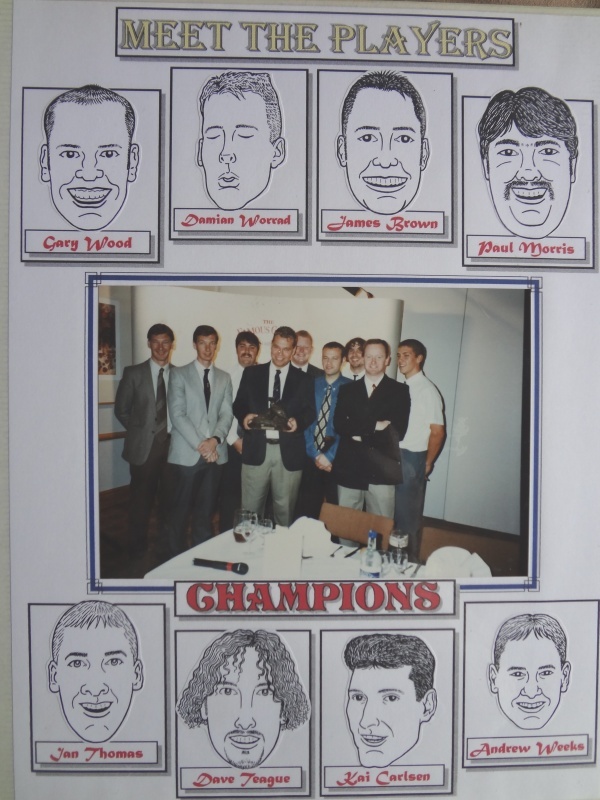 The young team winning the trophy for the first time in the club’s history. 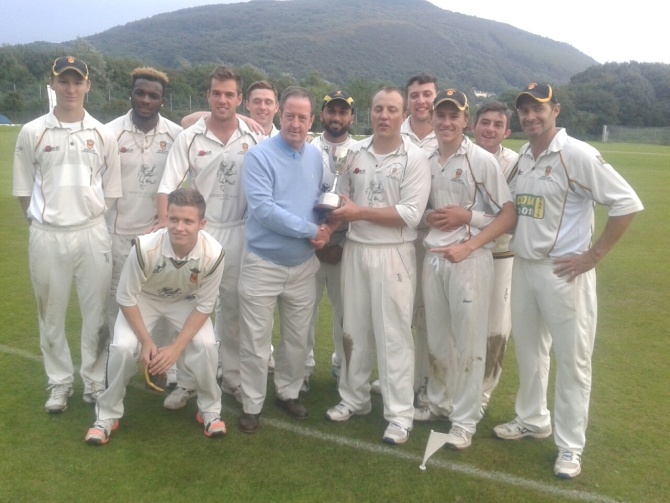 against North Walians Northop Hall, in the final of the Gwalia Welsh Cup at Abergavenny CC. 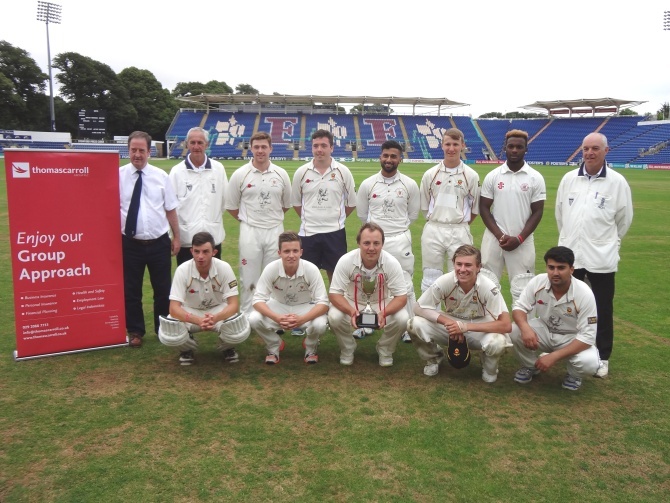 Newport Cricket Club ended their historic 175th Anniversary season with the news that the club had won the prestigious South Wales League, ‘Champions Trophy’. 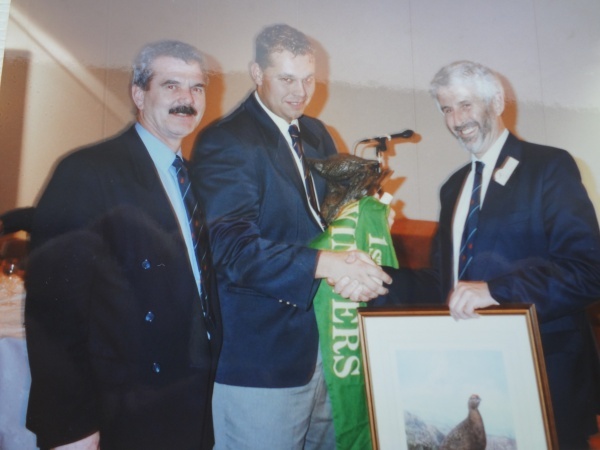 The competition, based on the Australian model, recognizes achievement and depth of talent throughout a club, with Senior and Junior playing performances analysed, as well as the club’s playing facilities. 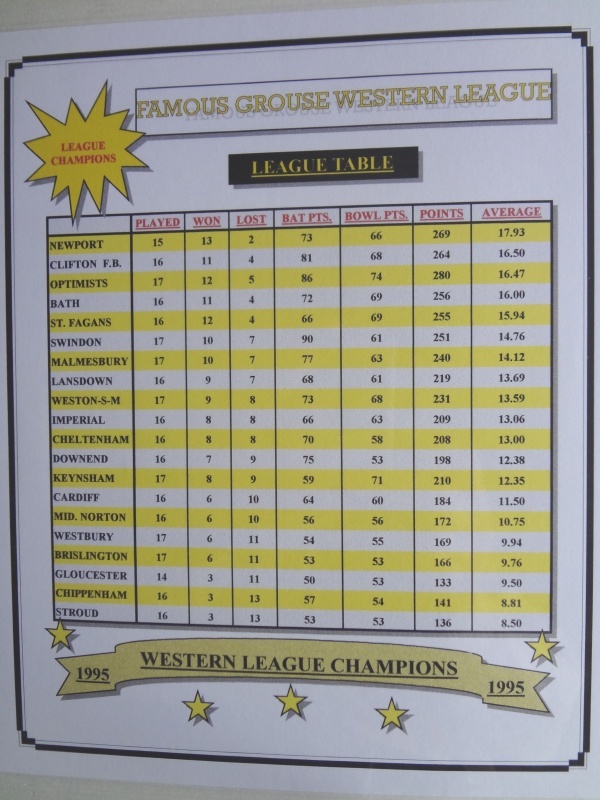 In the four seasons of the Award being made, Newport have never been out of the top two, last winning the trophy in 2007.
prestigious friendly match against 'The Cross Arrows'. September and into October, were to be the club's opposition, having been invited to play the game had been a tremendous coup. The coach arrived at Lords in glorious sunshine, anticipation was high, a quick look around, and it was soon time for the game to start. day never to forget with 3 wickets for 3 runs off 5 overs. 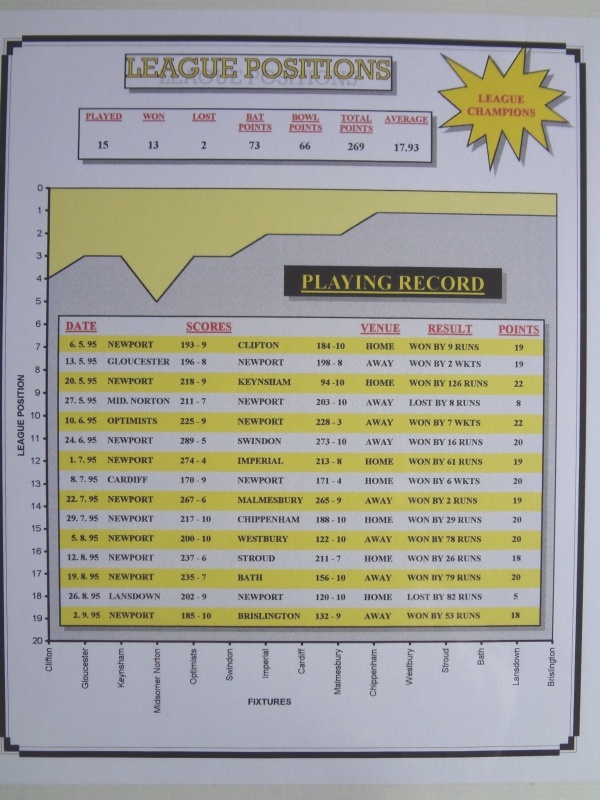 Newport eventually winning by a massive 287 runs. 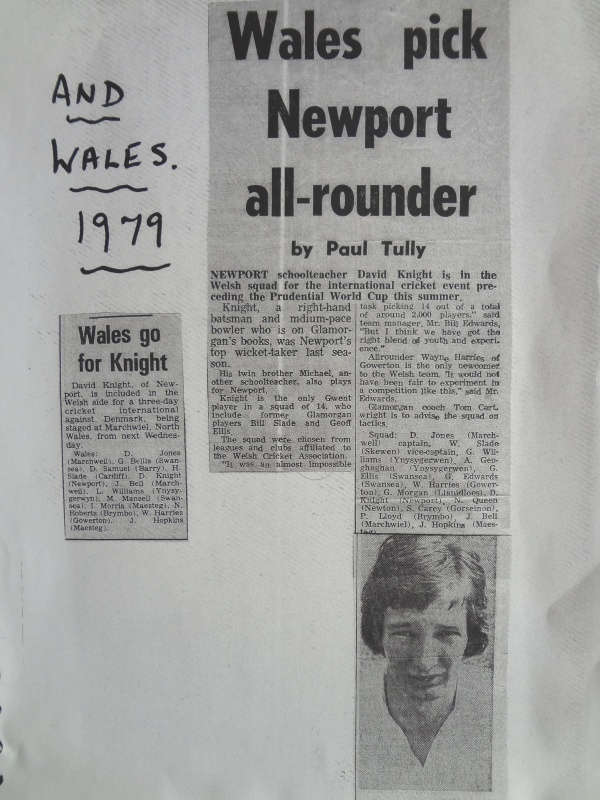 Dave Knight was the only Gwent player selected to play for Wales in the 1979 ICC World Cup based in the Midlands. 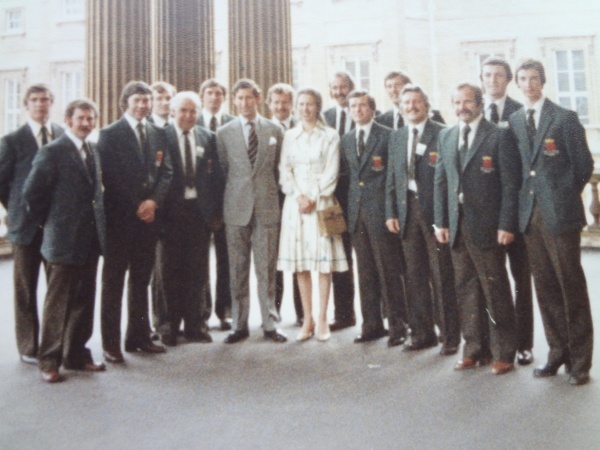 Knight was officially invited, along with the rest of the 14 man Welsh squad, to a Reception at Buckingham Palace, where the team was introduced to Her Majesty the Queen and had photo's taken with the Prince of Wales, (Prince Charles) and Princess Anne. 15 other ICC Teams (including Sri Lanka - who were in Wales group) and the 6 major Test playing nations also attende the reception, which was held at the end of the World Cup tournament. 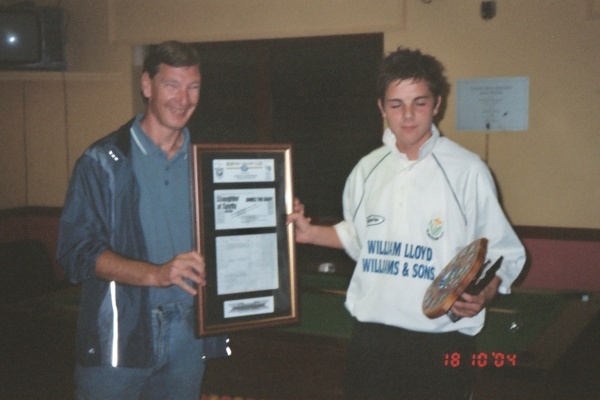 Ian Thomas smashed a new League Record with an amazing 255 not out for Newport Cricket Club on Saturday (22/08/2005), against Panteg in the Thomas Carroll South Wales Premier League. 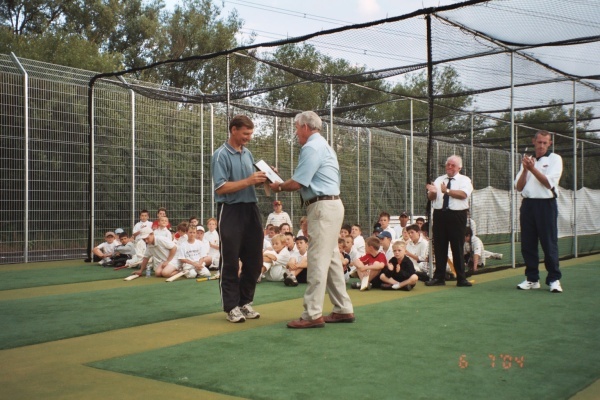 His innings included 7 sixes and 32 fours, as he shared a 257 run, 3rd wicket partnership with Michael Clayden who scored 89. 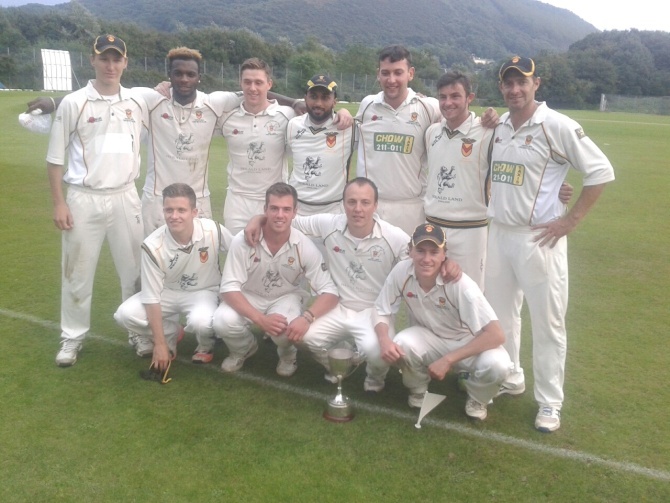 The 1st team scored an incredible 398-4, beating Panteg by 108 runs. 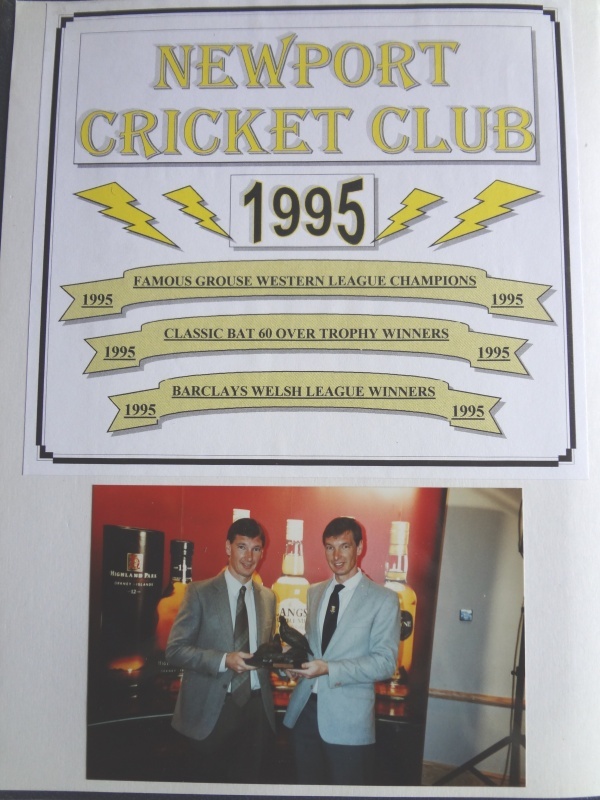 Newport Cricket Club opening batsmen, Carwyn James and Michael Clayden both scored unbeaten centuries, as the club's record books were rewritten when they starred in a match winning, unbroken opening partnership of 303 runs against Croesyceiliog at Spytty Park, in the South Wales Premier League. Newport, having been put into bat by Croesyceiliog, were quick to take the initiative with openers James and Clayden soon in complete control. After 20 overs the Newport score was 106-0 and a big total looked a distinct possibility. The Croesyceiliog bowlers began to wilt in the hot afternoon sun, but James and Clayden continued to play freely, scoring runs all around the ground. Carwyn James scoring his fifty off just 55 balls, and Michael Clayden soon following scoring his fifty off 61 balls. The 200 run partnership was made off 40 overs, and then followed a 'batting master class' as both batsmen cut loose. 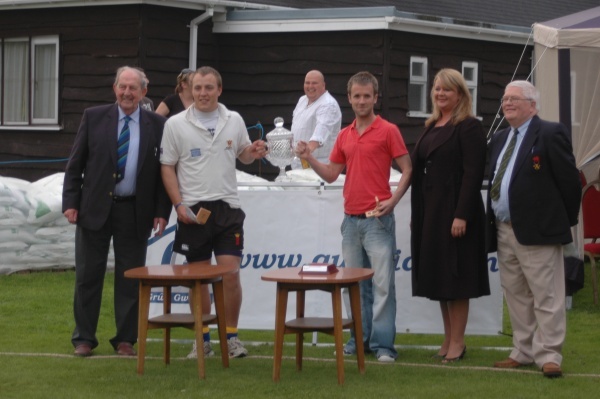 Carwyn James was first to his century, and it was not long before Clayden followed suit. The Croesyceiliog attack had no answer, as the pair showing batting maturity beyond their years, picking up runs off virtually every ball. 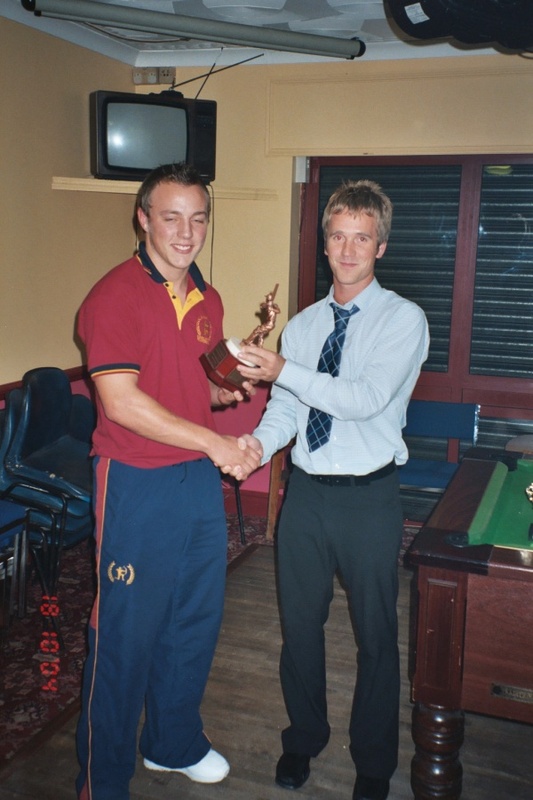 Once he had scored his century James despatched the bowling to all parts of the ground, while Clayden was content to take the many singles and 2's on offer. The final hundred runs being scored off just 10 overs. 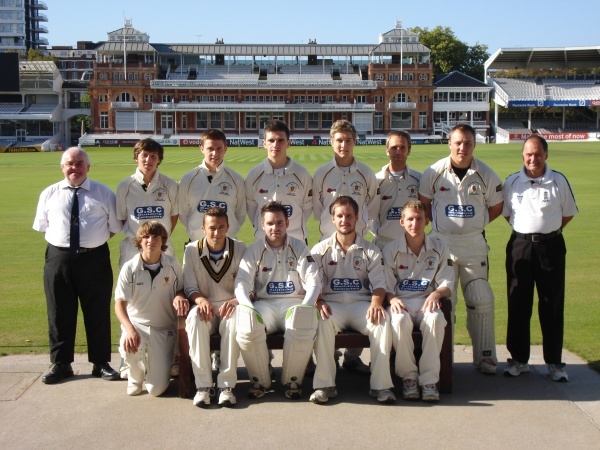 The final Newport total of 303 – 0 in 50 overs, breaking the Newport opening partnership scoring record, with Carwyn James on 158 not out and Michael Clayden finishing on 126 not out. 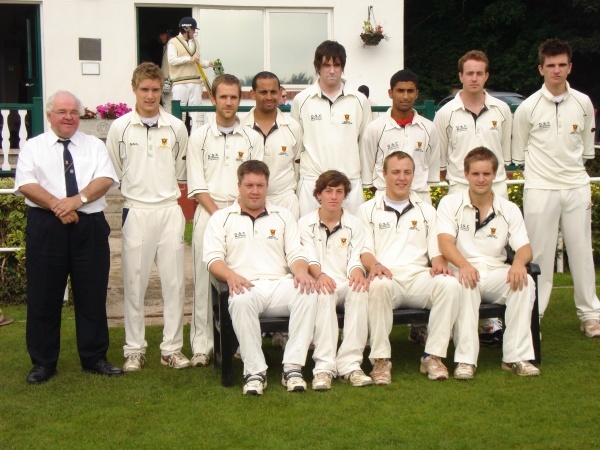 At the interval Croesyceiliog looked a beaten side, as they faced their daunting task crashing to a paltry 132 all out, leaving Newport winners by a massive 171 runs. 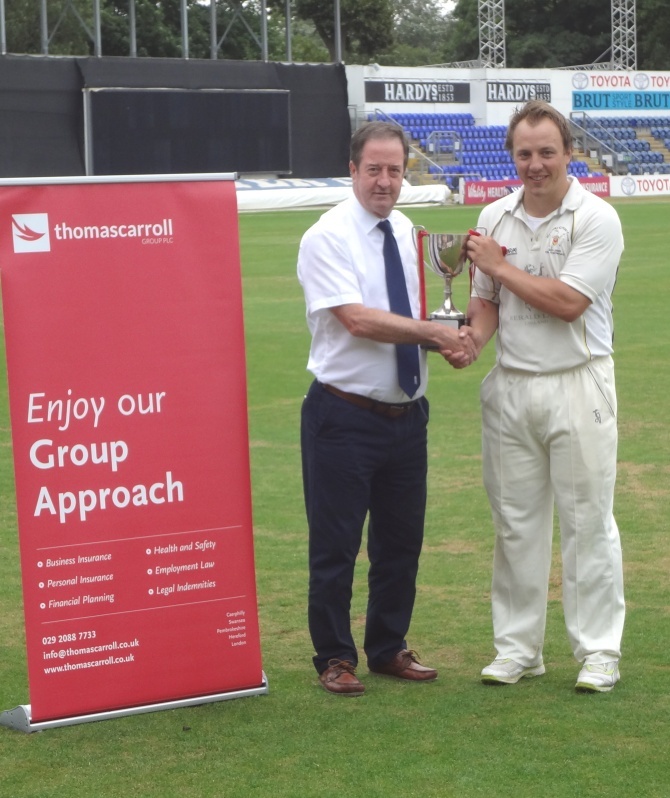 Newport Cricket Club's Cameron Herring scored a superb unbeaten 196 in the Club's SWALEC Premier League clash against Swansea at St Helens. accumulating runs, reaching his fifty in 54 balls. double hundred, in 177 balls. 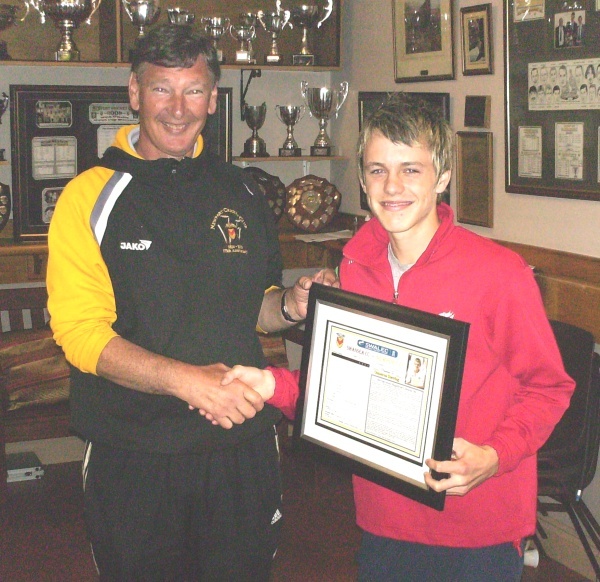 Newport Head Coach, Mike Knight presents Cameron with a Framed scorecard of his innings.